Design research and realization for a new magazine to be printed in Austin Texas. We created the magazine's logo, designed the masthead, inside page layouts and the cover. 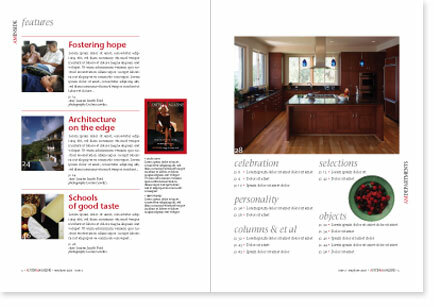 Tribeza Publications in Austin Texas asked us to create the design for a new magazine. We created a distinctive masthead, cover and design for the inside pages. In addition we created the design templates in Adobe Indesign that the production staff could use for the production of the magazine.